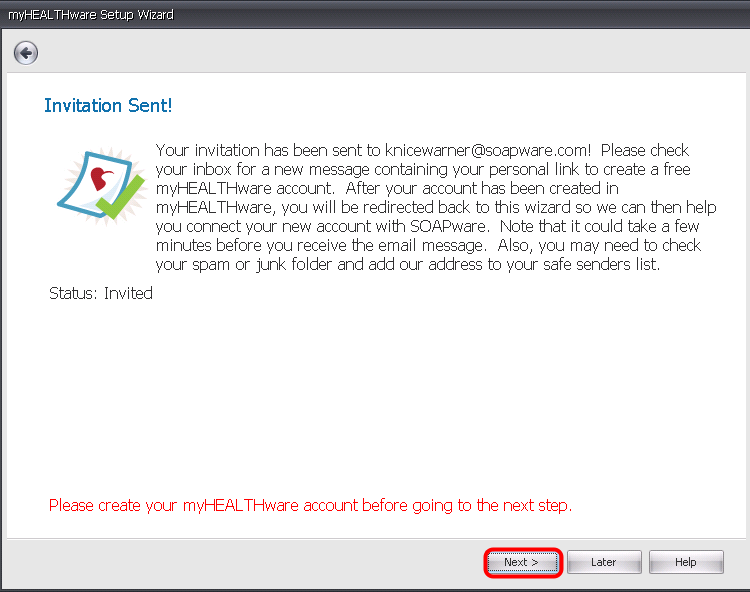 Check the inbox for the e-mail address that was entered in the Step 2, and find the message from myHEALTHware. To complete your myHEALTHware account setup, click Create My Account or copy and paste the link contained within the invitation email. Create a new Password (*Note: the password must be alpha-numeric and contain at least 8 characters). Please read and agree to the outlined Terms & Conditions. 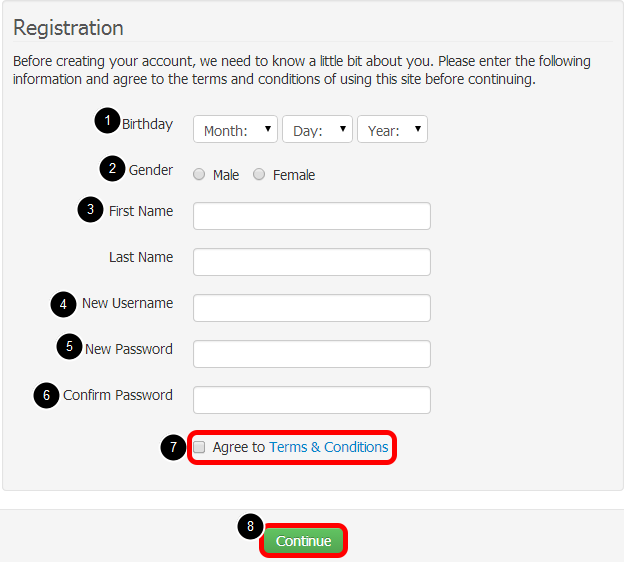 Check the box to indicate that you agree to the Terms & Conditions. Your myHEALTHware account registration is now complete! You may close the internet browser. Please return to SOAPware to complete the setup process. Once you have completed the myHEALTHware registration process as described above, return to SOAPware and click the Next button to continue. *Note: If you have not yet created your myHEALTHware account using the email invitation that was sent to you, you will not be able to click the Next button. 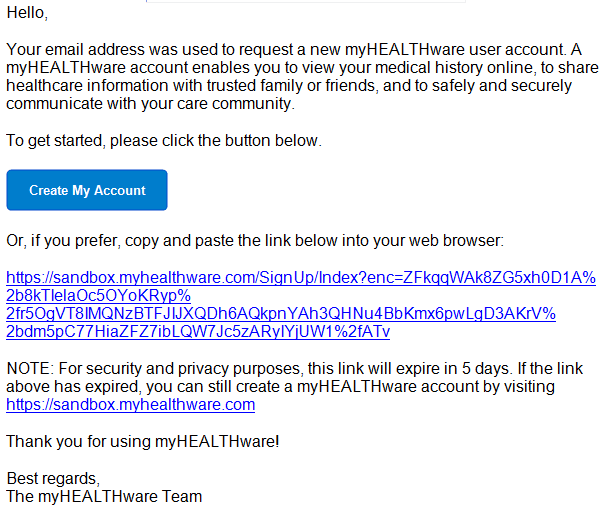 Please create your myHEALTHware account before proceeding. To continue to the next step, please click the following link: Log In to myHEALTHware.